This is a list of many of the writers who worked on the adventures of Hawkman and Hawkgirl since 1940. Fox, a native of Brooklyn, was the creator in the writers department of the Hawks in early 1940, as well as a couple of other notable characters of the Golden Age. He first began writing on Batman's adventures in Detective Comics (working alongside Bill Finger, the artist), contributing five stories between issues #29-32, and may well have the biggest record of characters to his credit as creator, including the Golden Age Flash, Jay Garrick, Cliff Cornwall, the Golden Age Doctor Fate Kent Nelson, Sandman, Starman, and even the first successful comic book team series, All-Star Comics, starring the Justice Society of America. He also did work in the 1950's for Marvel's early template, Timely Publications, and was most notable during the Silver Age for coming up with the second Atom, Ray Palmer, and even Adam Strange, and also the Silver Age incarnations of the Hawks, who got their own series in 1964, which led in turn to the creation of Zatanna. And, he also launched the Justice League of America in 1960. A polymath, Fox sprinkled his strips with numerous real-world historical, scientific, and mythological references, once saying, "Knowledge is kind of a hobby with me." For instance, in the span of a year's worth of Atom stories, Fox tackled the Hungarian Revolution of 1956, the space race, 18th-century England, miniature card painting, Norse mythology, and numismatics. The last mainstream comic book stories he wrote were for Marvel in the early 1970's, such as Dr. Strange and Tomb of Dracula. He'd been writing sci-fi novels as well as comics since the 40's, and following that, he decided to return to that career as well, which he continued in until his death. Towards the end of his life, in 1985, he worked briefly for Eclipse Comics, on titles like the science fiction anthology Alien Encounters. Kanigher began working in comics in the 1940s, when he started with Fox Features Syndicate, writing Blue Beetle and other characters. He soon found his way to All-American, one of the companies that would later merge into the modern DC comics, and he stayed with the company, invarious capacities, almost exclusively though his retirement in the mid-1980s. Even in context of a field that demanded a high level of output, Kanigher was prolific. 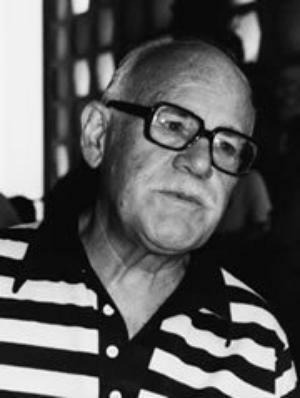 He wrote and/or edited Wonder Woman, Flash, Green Lantern, Hawkman, and the Justice Society of America feature in All-Star Comics, as well as many other super-heroes and even plenty of romance, love, crime, horror and war stories. 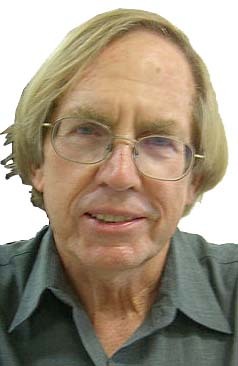 He is considered one of the more visual comics writers, having created at least one signature page breakdown technique, that being three interlocking panels, with segments progressing in time, typically used for landscapes. He was a major player in the 1950s-60s "Silver Age" of super-heroes, inaugurating the modern Flash and creating The Metal Men, but is probably best remembered by most for his creation of SGT. Rock, who may have debuted in Our Army at War. Kanigher and Tom Sutton (who passed away May 1) had worked together at least once -- as writer and artist (respectively) of the early 1970s version of The Heap, one of Skywald's brief flurry of color comics. Even though he did most of his work for DC, Kanigher worked for many others -- Fox, Archie (on super-hero titles), Marvel for a brief period, Renegade, etc. He also wrote magazine articles and books on writing, comics and other subjects. Some bios say he wrote for radio. And he went out in harness, having written a short Batman story published in 2001. He was also working on his autobiography at the time, excerpts of which have seen print. Having begun his own writing career in the post-WW2 years, Broome began on some of the characters whom he'd also write later in the Silver Age as well, including the Flash, having written one of the first stories for the Fastest Man Alive in Showcase #4, and also Green Lantern, Superman, Wonder Woman, Batman, and a couple more. He worked in comics between 1946-70, before moving on to work as a teacher. One of DC's leading editors, he was mainly in charge of the Superman titles, and there was almost nothing he didn't know about them at the time. He also had several other series and stories to his credit, including Legion of Super-Heroes, and wrote a few Hawkman backup stories in Detective Comics during the Bronze Age. He was also the creator of Justice League member Fire in the Super Friends-based series with artist Ramona Fradon, plus the Global Guardians in DC Comics Presents in 1982. A native of Missouri, Thomas wrote/drew his own comics at an early age, like one called All-Giant Comics, featuring characters like Elephant Giant. He wrote and had a lot of letters published in DC and Marvel comics during the Silver Age, and in 1965 got a brief job at DC working as an assistant to Mort Weisinger. In the late 1960s was hired by Stan Lee as a writer - and later editor - for Marvel. His first story there was in a Mille the Model spinoff called Modeling With Millie. He went on to write stories for Sgt. Fury and his Howling Commandos, Nick Fury, Agent of SHIELD, Doctor Strange, the Avengers, X-Men, Fantastic Four, and The Mighty Thor. In 1981, he returned to DC for several years to write All-Star Squadron and its modern day spinoff, Infinity Inc, starring the children and proteges of the Justice Society, as well as Arak, Son of Thunder, a Conan variation published during 1981-85. He also wrote a special post-Crisis on Infinite Earths continuation for Squadron called Young All-Stars. And he's known for coining the slang "retcon", which is short for retroactive continuity, first seen in the letter pages of All-Star Squadron. In 1989, he returned to work at Marvel for a few more years on books like West Coast Avengers and Eternals before largely retiring. In later times, he wrote introductions for collections of famous early adventure comics like Will Eisner and Jerry Eiger's Sheena: Queen of the Jungle. The wife of Roy, her maiden last name was Couto, and her first name in full is Danette. She collaborated with Roy on a few of his projects, and her first comics story she's credited to appeared in Savage Sword of Conan in 1981. Along with Roy, she collaborated on scripting All-Star Squadron during his time at DC, co-created Infinity Inc, and also gets special credit for Arak, Son of Thunder. The real name of the heroine called Firebrand from Squadron, Danette Reilly, was inspired by her own name. Like Roy, she too returned to Marvel in 1989 and gave him some assistance on a few books there like Eternals and Avengers Spotlight before retiring as well from the business. He first began his professional career as a writer/editor in 1972 under the guidance of Roy Thomas at Marvel, where he wrote stories for Ghost Rider, It, the Living Colossus in the Astonishing Tales anthology, Luke Cage: Hero for Hire/Power Man, Daredevil, and Captain America. He also expanded on the Tigra identity for Greer Nelson (who first debuted in The Claws of the Cat in 1972), created the Black Goliath identity for Bill Foster, a scientist first seen in The Avengers in 1966, and co-created a series called The Champions that ran during 1975-78. Moving over to DC, he's best known for creating their first black superhero to headline his own title, Black Lightning (Jefferson Pierce), with Trevor Von Eeden. The first series was short-lived because of the "DC Implosion" of the late 70s that cut short several titles the company didn't think were selling well enough. He also wrote another series published in 1995, but it was also short-lived because of disagreements with the editors. Isabella wrote an issue of DC Comics Presents #95, towards the end of the series' run that teamed Superman with Hawkman, and also wrote The Shadow War of Hawkman miniseries in the mid-80s with artist Richard Howell, which led to another ongoing that ran during 1985-87. During the late 80s, he also wrote Justice Machine for Comico. He went on to write Tony's Tips for Comics Buyer's Guide for nearly 2 decades in 1991 and managed an Ohio-based comics store in the 80s. He began as a performer for the Chicago-based Organic Theater Company, and got into comics writing in 1983 at the publisher called First Comics. At DC, he wrote the latter half of Firestorm's 1982-90 run, and co-created the Suicide Squad that ran during 1987-92. At the dawn of the 1990s, he launched the Hawkworld series that followed the Tim Truman miniseries from 1989. In 1993, this series was changed to Hawkman again until finally being cancelled in 1996. Ostrander also worked for Marvel on titles like X-Men, Heroes for Hire, Quicksilver, and Valiant on titles like Magnus, Robot Fighter, Rai and the Future Force, and even did some work on Elfquest for Warp Graphics.